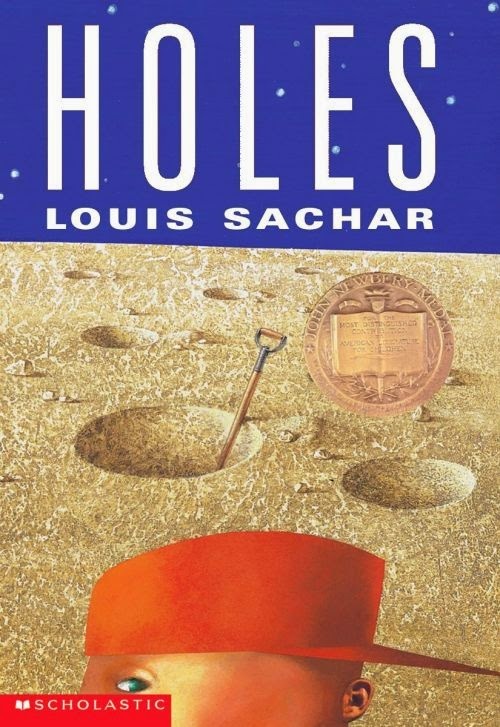 Language Arts: Phi read chapters 11-20 in the book Holes. I think she is having a hard time getting into this story. It is not what she usually likes to read so I have found that her comprehension was not there. She was reading and working on her novel study and was not able to answer any of the questions. When it came to reading 16-20 we did things a little differently. First we looked up all the vocab words and read the comprehension questions. Then I had Phi read to me outloud and we discussed along the way. This worked but I need to get her to the point where she can do all this on her own. 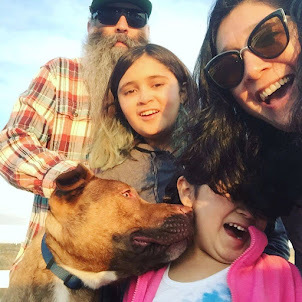 Math: Phi had a substitute teacher this week and she focused on math and that made a big difference. This week we are working on Multiplying Fractions by Whole Numbers. The teacher went over each step and had the kids write each step down. When it came to homework she was able to pull out her notes and review. It made homework much easier. Update: I may have spoken too soon. We took 3 days off of math and are currently working on the last worksheet and it's like she is seeing this for the first time. As much as we all don't want to it looks like math is going to have to be a daily thing. Social Studies: We started a new chapter this week. We are moving from the Gold Rush and looking a the Business Boom that followed it. We talked about different entrepreneurs from that time period like Levi Strauss and Ghiradelli Chocolate. 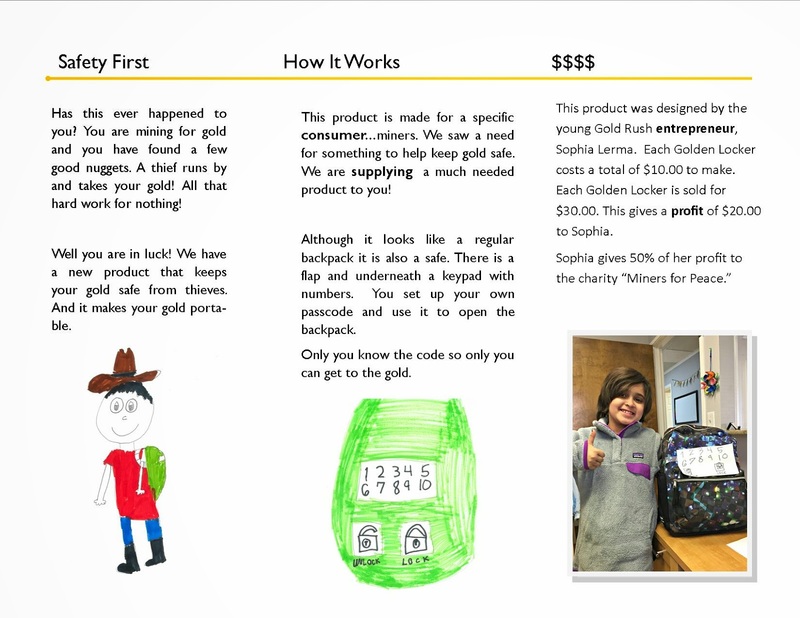 The project this week was to become a Gold Rush Entrepreneur with a product or service and make up a brochure about it. We had fun with this. 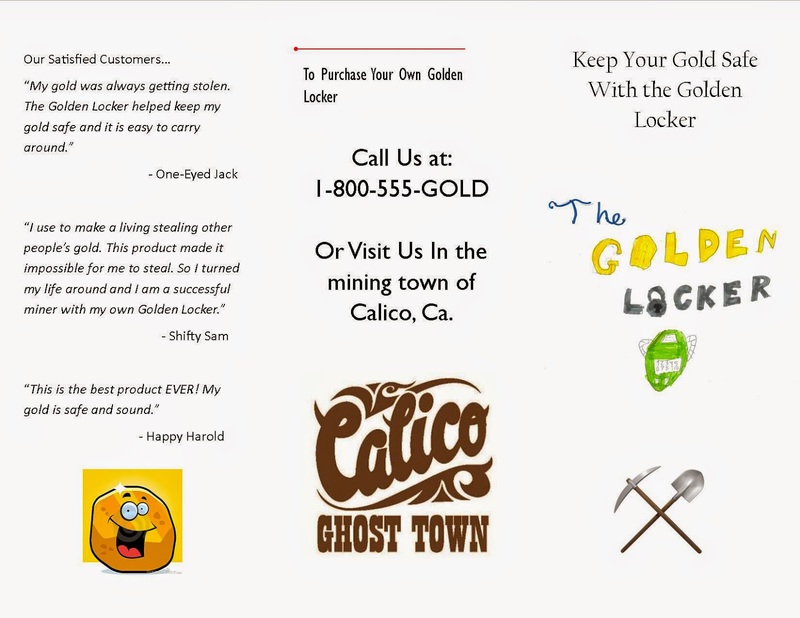 Phi thought about something that miners would need and she came up with "The Golden Locker". Science: We also started a new chapter in science all about matter. Trying to teach the idea of matter is not easy! When you say something like "everything is made up of matter" it tends to be hard to wrap your head around that. We talked about 11 different properties of matter and had some fun using those properties to describe things around us. Getting motivated to get back into school has been really hard for me. I am hoping next week will be a little easier. The 5th graders just finished Holes!